In December, I’ll be fishing in a last-chance tournament on Okeechobee, a place where I don’t have a great history. In fact, I once wrote a column for this site that said these words: I hate Florida. But this last-chance tournament is for the Classic. 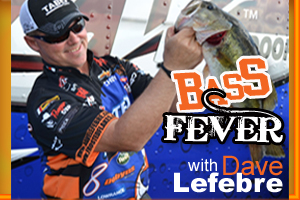 It’s a BASS event, where the winner, and only the winner, gets to fish in the Classic. I finished one place out of the Classic. I want in, so I’ll be at Okeechobee. And I’ll be fishing with only one goal in mind: first place. Regarding fishing at Okeechobee, I’ve got nothing against the state of Florida itself. Good weather. Nice beaches. Great golf. When I said, “I hate Florida,” what I meant was: I just can’t fish Florida lakes. I’ve never had luck there. So here’s the deal. I’m going into a place I don’t like, into a tournament against a bunch of great anglers, and it’s worthless unless I actually win the event. First, the Classic trumps everything. I want to fish the Classic, because I’ve only missed one Classic in the last seven years. It’s the biggest event in our sport. Nothing else is even close. A lot of people think the Classic is like the Daytona 500, but it’s actually bigger to us. In NASCAR, even casual fans know there are plenty of other races during the year. They know about Bristol and Talladega and Texas Motor Speedway and other places. But in our sport, people that only know a little bit about fishing couldn’t tell you anything about what we do during our seasons, but they know about the Bassmaster Classic. They know there is this one giant event that everyone wants to win. The Classic. I was thinking the other day about how the Classic seems to mean as much to experienced anglers as it does to new guys. And one reason is that it’s hard to qualify and then harder to win. When I won the Classic in ’07, I thought I’d make it back every year. Now, almost seven years later, I don’t think that at all. Qualifying for the Classic makes a year successful. Every kid that starts fishing in tournaments dreams about making it to the Classic. And that dream never dies. Every time I qualify, it means as much to me as it does to any kid dreaming about being in the Classic. I want to fish the Classic in the worst way. I live in Guntersville now, so it’s becoming my home lake. It would be a shame to miss a Classic on Guntersville. I was so close during the season. One fish. Three ounces. One point in the standings. That’s how close I came. But the bottom line is that I fell short, so now I have to take advantage of this last chance. Another reason I’m fishing the Okeechobee event is important is that I don’t really hate Florida as much as I used to. Three years ago, maybe even two, I would just circle Florida dates and hope I don’t embarrass myself by fishing 90th. But two years ago, I think I started getting rid of that demon. I fished respectably in a couple of Elite Series Florida tournaments, then I had a pretty solid showing on Lake Istokpoga when we filmed our Major League Fishing event there. Those tournaments gave me confidence. Then I built on that confidence by doing a lot of homework and fishing on Okeechobee recently for five days. I’ve also picked Terry Scroggins’ brain. 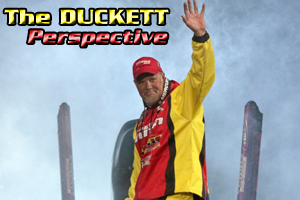 Terry is a Duckett Fishing angler, and he’s one of the best in the business – especially in his home state of Florida. So I feel pretty good going into this event. My game plan, generally, is not complicated. There are maybe four areas on Okeechobee where 95 percent of tournaments are won. I will win or lose in these areas. I won’t be bucking the odds by looking for some magic spot that no one else has discovered. I’m going to the high percentage areas, and I’m going to try to out-fish everybody else. It’s first place or nothing.